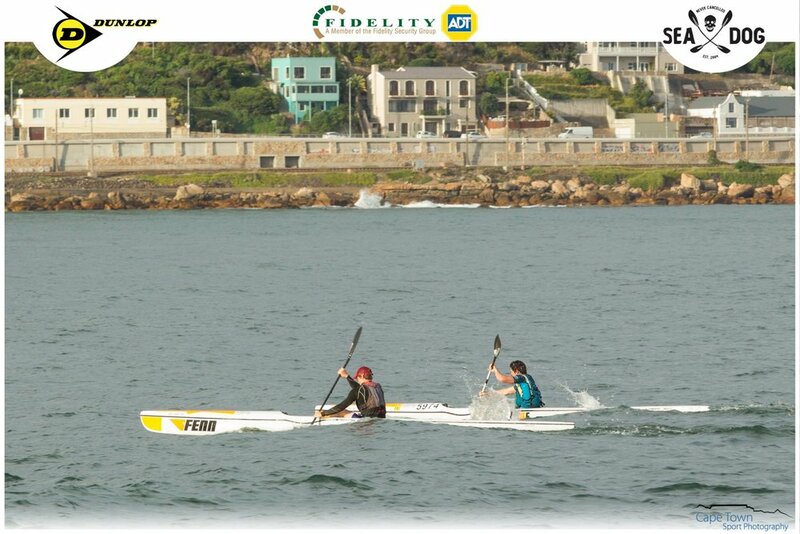 It was a day for the defending champions as both race 5 winners, Nicholas Notten and Kirsten Flanagan, sealed consecutive victories in their respective categories at race 6 of the Fidelity ADT SeaDog Paddle Series & MountainLion Run Series. With a light south-east wind slowly dissipating, it was an all-time evening for the 145+ athletes who lined up for Cape Town’s favorite paddle/run event. Nearly 120 paddlers and 30 runners made their way down to Fish Hoek Surf Lifesaving Club last Friday for the sixth installment of this classic series, with race 6 sponsored by Dunlop Tyres SA at the Dunlop Zone - Value Tyre & Fitment Tokai. In the ladies SeaDog race, Flanagan showed her dominance yet again as he paddled away from the field to claim her third victory of the season. A tight start in the Fish Hoek shore break did not make things easy, however, and the chasing pack of Alex Adie, Kim Van Gysen and Angie Gaffney Austin forced Flanagan to be at her best in order to take the win. In fact, with minimal assistance from the ocean conditions, it was the lack of presence from multiple series winner Nikki Mocke which provided Flanagan’s only respite. In the end, it was a fairly comfortable victory for Flanagan, with Adie finishing up yet-again on the podium in 2nd, while the ever-present van Gysen was there to take 3rd. 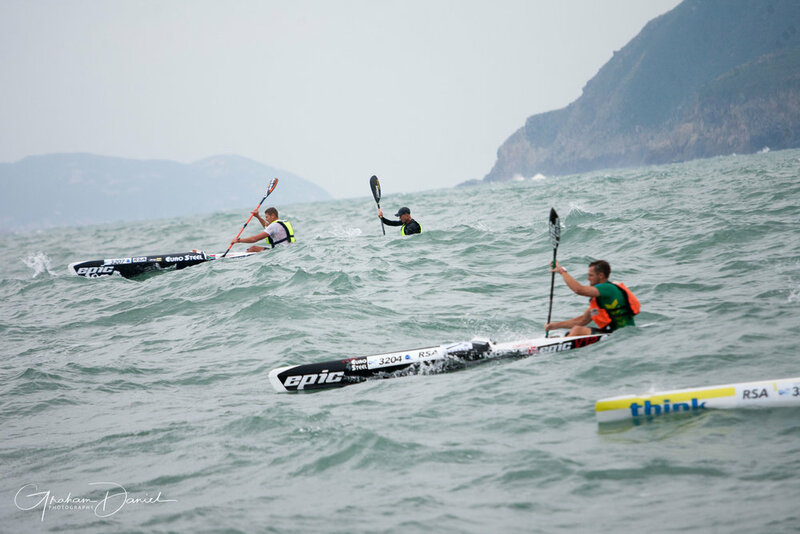 The men’s race was a showdown between two brothers - Dominic Notten (FENN/Varsity College) and Nicholas Notten (FENN/Orka Paddles). It was Dominic who led from the start, capitalizing on a break in the waves to head out first and claim the all-important Long Beach Brewery Yellow Jersey Hotspot. From there, however, it was the younger brother Nicholas who took charge and paddled away from the pack to claim his second win of the series, and some valuable overall series points. “I managed to claim the Yellow Jersey, but I knew that Nicholas was simply holding back some energy so that he could hurt me later on.” said Dominic. Ultimately, the podium featured Nicholas Notten in first, Dominic Notten in second and Czech paddler Jakub Adam (Euro Steel Sport) in third. With six races down, the overall series leaderboards are hotting up, with the big names starting to rise to the top. With some of the best paddlers in the world returning from the bi-annual ICF World Surfski Championships in Hong Kong this weekend, the racing is set to get even tighter. In the MountainLion Run, a beautiful evening was enjoyed by some 30 runners who lined up alongside the SeaDog paddlers for their scenic 5km run. In the men's race, Riaan Shaw narrowly out-sprinted Dylan Pivo for the win (and R200 cash), while the ladies race was won by the consistent Georgia Singe. The Fidelity ADT SeaDog Paddle Series & MountainLion Run Series would like to thank Dunlop Tyres SA and Dunlop Zone - Value Tyre & Fitment Tokai for their loyal support and epic prizes. Other sponsors to thank include ORKA Paddling Shop & Thule Fitment Center, Chalford Wealth, Varsity College, Mocke Paddling, Great White Sport & Surf, Mugg & Bean Longbeach Mall, IamSuperbar and others. The series now looks foreword to the Varsity College Race 7, which is set to be a showdown of epic proportions. SeaDog and Varsity College would like to invite ALL junior paddlers (and aspiring paddlers) to join us for a FREE paddling lesson with the Varsity College Sports Life Captains, starting from Fish Hoek Surf Lifesaving Club at 17:15. More info can be found on SeaDog Paddle Series. 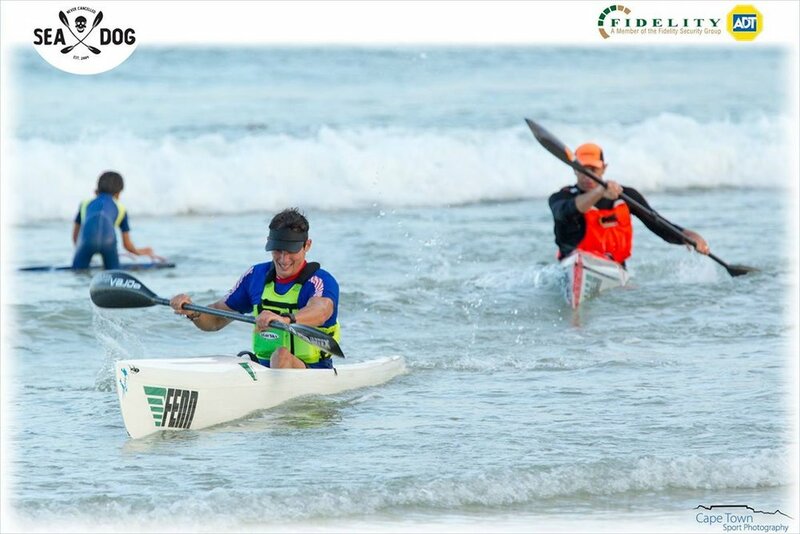 The SeaDog Paddle Series & MountainLion Run Series is a fun 7km paddle and 5km run event that starts from Fish Hoek Surf Lifesaving Club every Friday at 18:00. registration opens at 17:00 and race entry is R20. Food is for sale, a cash bar is always open and families and friends are welcome. The series is never cancelled. For more information, please contact 082 536 2160 or message the SeaDog Paddle Series on Facebook. 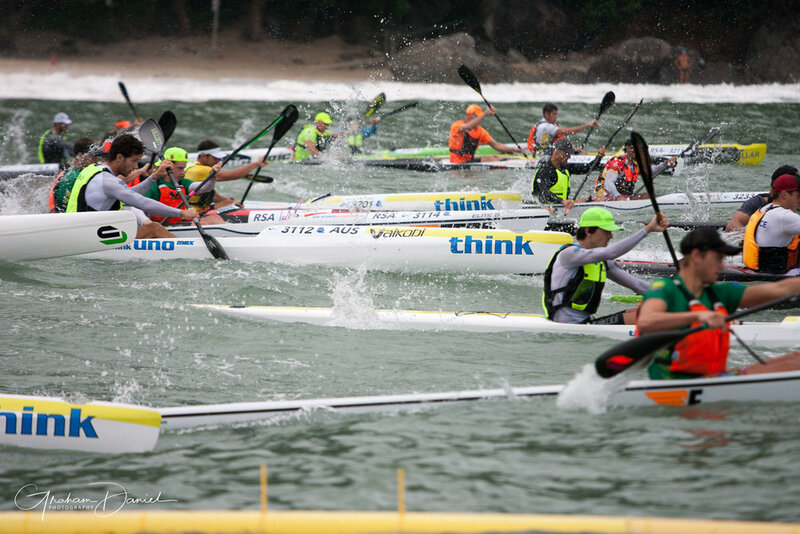 All photographs courtesy of John Hishin and Cape Town Sport Photography. To support their fine work, please go to www.capetownsportphotography.co.za to order your photos! The 2017 Chattajack featured many back stories that need to be told. One could easily make the argument that the most recent edition has been the year that the women stole the show. In addition to the Dismukes/Boteler dogfight and the record-setting and subsequent DQ in the Kayak division, was the quiet dominance of OC Paddler Sara Jordan, who set the fastest time of the day among all females (and most males) in an OC-1! Additionally, team boats have started asserting their presence at the Jack, as witnessed by the increasing numbers and flying times recorded this year. Hype Mattingly gives us an inside line on Sara's OC race and the winning duo on Surfski Double, Michael Herrin and Morgan House. Chattajack – hands down, is quickly becoming the preeminent autumnal river race below the Mason-Dixon line. This year – Chattajack 31- was no exception and here the aim is to shed some light on the individual races for 2 classes of craft that doubled or tripled the number of entries over years past. 2017 Chattajack sported 5 double ski entries, the largest field ever for this class. And 3 of those entries were men’s teams. The women’s OC1 category also showed a banner year for entries – 7 women in total. These two classes might seem worlds apart, but in real life, when you talk to the racers, you find a lot of common themes. A paddler is as a paddler does… as the saying goes (ok I made that up but still…). 1st Place - Team Double Ski – Morgan House and Michael Herrin – both of Gainsville, GA. The team completed the course in a blistering time of 4:10:10 – setting the course record for double ski. Morgan House is an ICF K1 veteran who spent 8 years on the national team and lived 5 years at the Olympic training center. Despite his accomplishments with the double blade though, Morgan has also competed in some big OC6 races, including the Molokai Hoe and the Catalina Crossing. In contrast, Morgan’s racing partner, Michael Herrin describes himself as a relative newb – with only 3 years surfski experience. He calls Morgan, “an amazing coach and training partner” but it was Michael who suggested they team up for Chattajack 31. 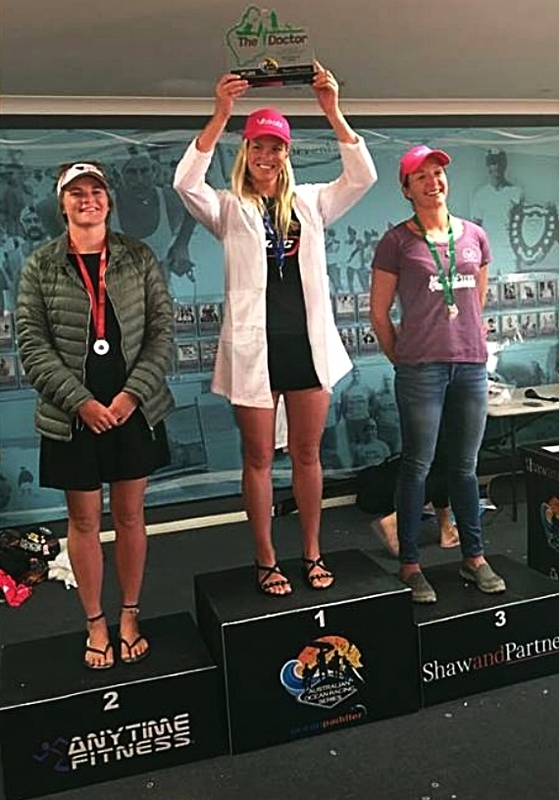 1st Place – Women’s OC1 - Sara Jordan threw down an unbelievable time of 4:44:58, the fastest time of any female-only craft on the water and blowing away – by 33 minutes - her own 2016 course record for women’s OC1. Sara is also known as an elite surfski paddler. Why the turn to the single blade for this race? For Chattajack 31, Sara opted to defend her title from the 2016 race in the single Outrigger Canoe. And besides, Sara says that paddling OC1 this time around fit better into her training plan, because of her other big single blade event: in July of this year, Jordan paddled V1 in the 2017, International Va’a Distance Championships held in Tahiti. Most racers had undoubtedly been eyeing the weather prediction days ahead of Chattajack 31. A week before the race, conditions were supposed to be 100% rain until 1 p.m. With wind. Oh, and a High of 45°F. Despite all hopes that the prediction would improve, and in an exceedingly singular display of prescience, the meteorologists were actually dead-on-balls-accurate and the racers started and ended the trek in some very challenging conditions. Few racers would have had an opportunity to train in those kinds of conditions this time of year. Anyone who watched the start with the challenging conditions would agree: shambolic. The current was ripping, pulling the entire block of 100s of paddlers down river. The bone-chilling headwind – with pelting rain (a bonus) - was creating some white-cap shear on the water. These conditions made it difficult for even the most adept competitors to hold the start line as they were forcefully being pushed forward prior to the race start. Team House and Herrin in the double ski called the start “interesting.” The conditions had pushed them so far forward over the start line that they decided to turn around and paddle back to behind the line before the race start. As luck would have it, when the horn sounded, they were actually still heading UP river – a predicament that forced them to have to turn around and spend the first part of the race trying to catch up to the rest of the pack. Among top-of-the-heap racers, one strategy for long distance races is for the leaders to spend most of the race taking turns drafting each other to conserve energy. For the final few miles or so, the top competitors then have at each other (with fangs) with a sprint to the finish to determine the winner. About 90 seconds separated 1st and 3rd place teams for the men’s double surfski over a race that took over 4 hours. That would suggest a tight race. When asked though, Team House and Herrin indicated that drafting did not play a part at all in their race. Instead, the team relied on controlling the stroke rate and focusing on maximizing glide. The strategy enabled them to pass other paddlers, despite their challenging starting position. After that, they held the top position until the end. Meanwhile, in the women’s OC1 class, well ahead of the boats in her class and without the opportunity to draft others, Sara’s race strategy was simple but effective: pick off as many out-of-class crafts as possible. For Sara, that amounted to catching a lot of SUPs. The tactic served her well, but Sara said that her main motivation for trying to catch the SUPs was so she could more closely study their technique and become a better single blade paddler herself. Not surprisingly, the racers in both the double ski and in the women’s OC1 class found the final 8-10 miles of the race the hardest part. The 31-mile trek tests even the most seasoned of racers even in the best of conditions. Jordan in the women’s OC1 class, worn down from the cold and some muscle cramping, found herself wishfully (and futilely) wondering, “Is this the last curve?” at every bend in the river. She noted that the last few miles of the race present a difference in the type of water. The changes make the management of the conditions and the reading of the course even more crucial during a period in the race when the paddlers are the most fatigued. For the double ski team, Michael Herrin and Morgan House both noted that their pace slowed a bit the last few miles. They gave high props to their competitors for pushing them. “Both of those crews are very strong and I’m happy that we were able to pull out the win,” House commented. No doubt, Morgan’s strong experience with racing helped the team pull out the win. 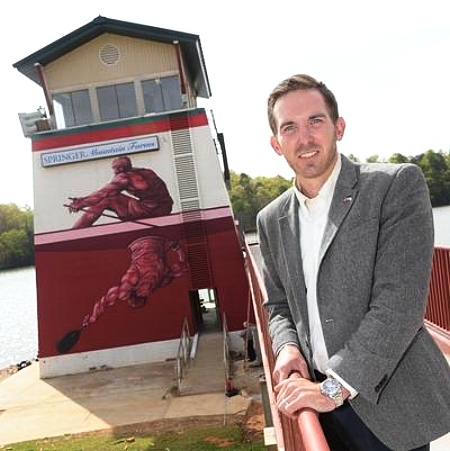 But Michael’s wicked sense of humor helped the team break up the grind of the last few miles and his 3-time experience at Chattajack proved invaluable as he was able to point out landmarks and river conditions during the race. 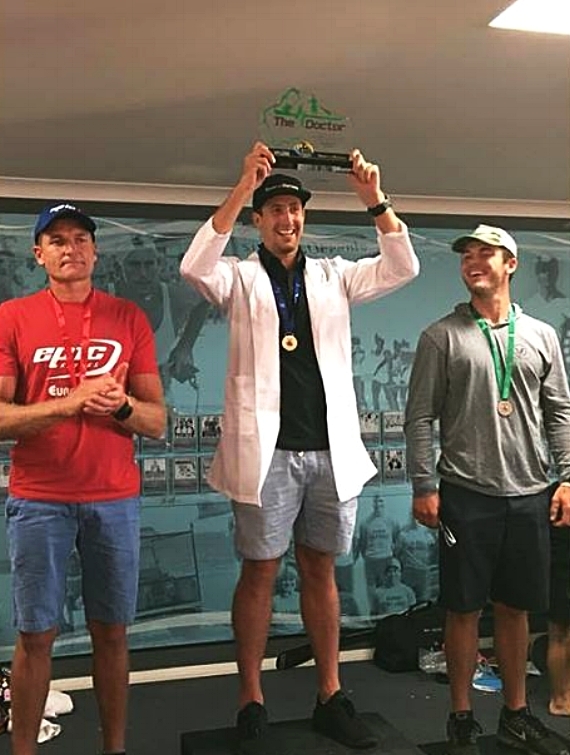 Matt Bouman was first across the line last weekend at the Border Canoe Club's Pete Marlin Surfski Race held in East London, South Africa. 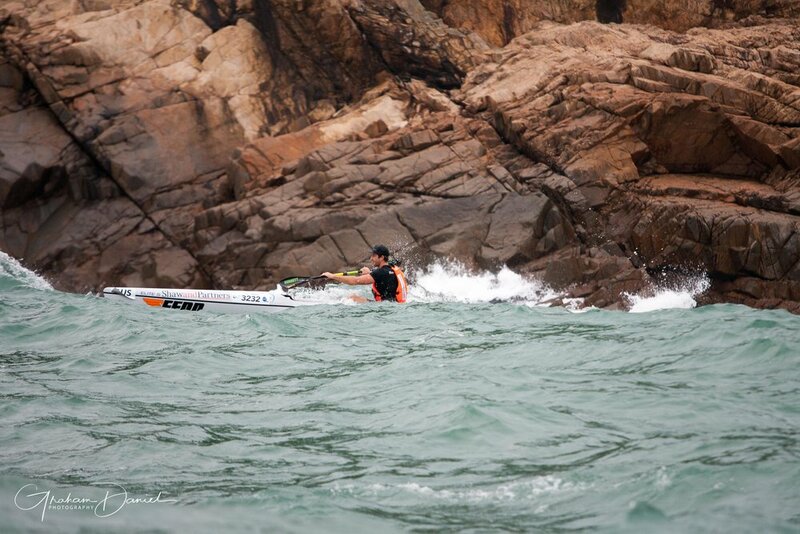 Bouman finished the 23km downwind course with a time of 1:27:28. Gene Prato followed at 1:30:14 with Joshua Fenn in at third another 51 seconds off. Michelle Burn crossed first for the women at 1:39:06. Nikki Russell slotted in at second with Kyeta Purchase in at third. 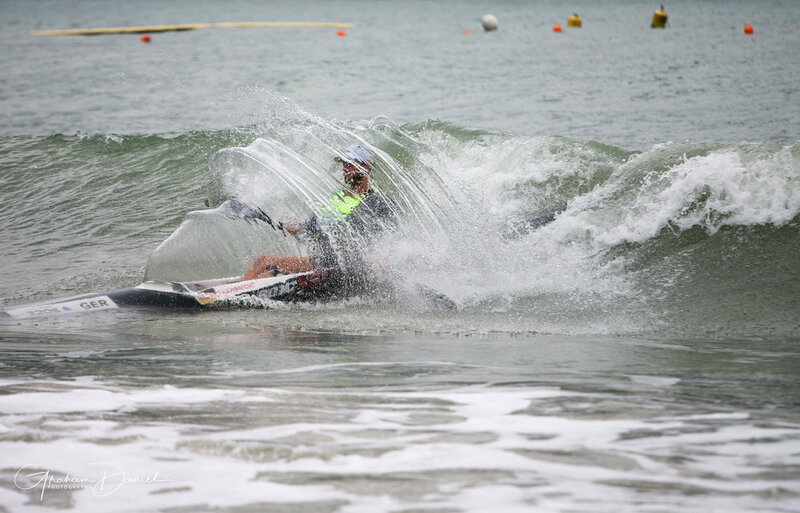 Next up will be the biennially occurring ICF World Surfski Championships in Hong Kong on November 18 and 19. The ACA is honored to announce that Chris Barlow has been named as the Sprint High-Performance Manager. Chris is a U.S. Olympian competing in Sprint Kayak in 1992 in the 1000m K4. He continues to race today in surf ski races and Sprint National Championships. However, his true passion is coaching athletes. He has been the Head Coach and Founder of the San Diego Canoe Kayak Team since its inception in 1996, but also has national and international coaching experience as the men's coach at the 2009 and 2011 Junior World Championships in Moscow and Brandenburg. Chris was named Head Coach of the USA Junior National Team for the 2010 Pan American Championships in Mexico City. 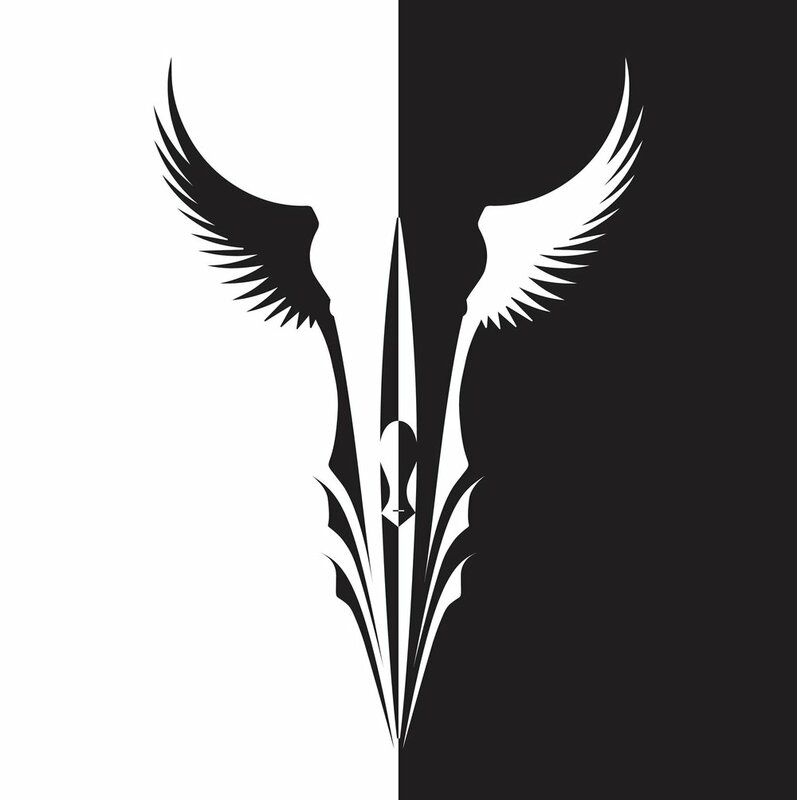 Chris has been a Director with the Sprint Coaches Association since its formation in 2007. Chris is a certified Sprint Coach with the International Canoe Federation (ICF). For the past two years Gerry Seavo-James has been making things happen in the Bluegrass state. Last year, James created the Kentucky Waterman Series and has advocated and promoted tirelessly ever since. The series has proven to have had a catalyzing effect on paddling in the area, bringing out new competitors and improving the current stock in the area by upping the ante with the localized series. This Saturday marks the finale for the 2017 season and looks to be a good one. The Big South Fork River Dash is set in the beautiful Kentucky mountains just outside of neighboring Whitley City. This year, the race features three distance options: four, eight and fourteen miles. The course travels through deep river valleys along limestone rock outcroppings; a beautiful representation of Kentucky’s signature style. The river, although not particularly deep, will likely not warrant over-stern rudders unless there has been significant drought. Registration is already looking solid, so if you’re looking for a final test before mother nature bleeds the last remaining warmth from our fair part of the globe, head over to Big South Fork and mix it up with the locals.